Clint Adams, CFP®, Principal & Wealth Advisor, grew up in Temple, Texas, attended Texas A&M and graduated with a degree in Finance from Sam Houston State University in Huntsville. Clint is married, has two young boys and enjoys fishing, sports and teaching. He has been a registered Financial Advisor with several prominent companies including American Express, Fidelity Investments, Morgan Stanley Dean Witter and A.G. Edwards. As the former Managing Partner and Compliance Officer at Cotton-Adams Financial Group, he served as branch manager for operational, technology, compliance and budget issues. His areas of experience include asset allocation strategy development, money manager evaluation, and financial planning. Clint is a CERTIFIED FINANCIAL PLANNERTM professional and is a member of the Financial Planning Association®(FPA®). He has been selected as a FIVE STAR Wealth ManagerSM for three years 2012-2014 and was featured in Texas Monthly magazine’s August edition, an award based on overall client satisfaction among other factors. * Clint and his family are members of Prestonwood Baptist Church. Active in community service, he has provided weekly, free financial counseling to unemployed professionals in North Texas through his role as a volunteer Financial Advisor to the Career Hi-Tech Connection in 2000 through 2002. 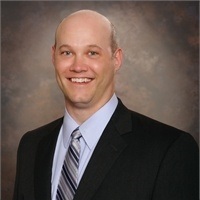 He has conducted financial and morale-building programs each month for Career Connection members and has come to be recognized in the region as experienced in the special financial challenges of professionals in career transition. Clint was also a former Co-Director for the Financial Education and Counseling Services Ministry based at Preston Hollow Presbyterian Church where he developed and co-facilitated their financial education and job transition programs. He also helped institute their 8-week Financial Education Course for members of Preston Hollow Presbyterian Church and served as a volunteer Financial Advisor for their free counseling program offered by Career Solutions Workshop. *Award based on 10 objective criteria associated with providing quality services to clients such as credentials, experience, and assets under management among other factors. Wealth managers do not pay a fee to be considered or placed on the final list of 2012, 2013, 2014 Five Star Wealth Managers.